Since the invention of video games, especially the portable style, kids has become less active. Getting them up and energetic about sports may be challenging at first, but as their parents, it is important to instill competitive values in them early on. For more information, here are 8 ways to motivate your kids to take up sports. When your children see you playing sports, and enjoying them, they will want to join their own team. Leading by example is a way to teach your children many things like being polite and how to share. Instilling a healthy competitive value in them is another example you can pass down. Be sure to show compassion, tact, and good sportsmanship in your own games and behavior at their games. This is another way to lead by example. Don't be a sore loser and always win with grace. Show restraint when there is an issue on the field with your child. All too often, parents get emotionally involved when their child is wrong and it can spill over into feuds on the sideline between grownups. If you like football and hockey, you can let your child watch you participating in these sports. However, allow them to choose which activity they will want to join. It may be one or the other of your favorite sports, or it may be something completely different. Introduce them to many different sports so they can find the one they like and are good at. Oftentimes, an individual is good at a sport, but it is not one they particularly care for. Allow your child to decide what they want to do. Just because they are good at a certain activity, doesn't mean they need to do it. You don't always have to be a coach or be teaching your child skills. Play a sport with them to have fun. Sure, you can still be teaching them something, but put the emphasis on having fun and they will see that having fun is important to you. You don't always have to always play sports. Have fun with your child playing a board game, tag, or hide-and-go-seek. Any type of game that gets you both thinking and/or moving is going to be entertaining, and the time you spend together is priceless. When your child does well, say something encouraging to them. Praise them for their effort and don't worry so much about the outcome of the game. Of course, everyone likes to win, but winning isn't everything. Make sure your children know this lesson well. Teach your child how to be a good sportsperson. Certainly, they can be disappointed if they don't win, but they shouldn't wallow in disgust, negativity or self pity. Show them how to properly grieve a loss, then move on. 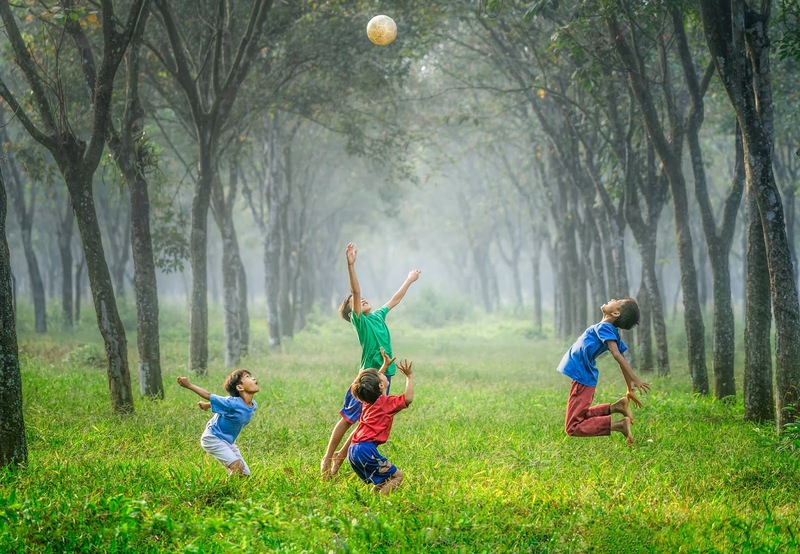 By not making a big deal out of losing a game, your children will not think twice about a loss and channel all their energy into having fun instead of what the outcome will be. If you can find a sport you and your children love, play that as often as you can. Children do better when they know their parents are supportive and what better way to show them your support than to enjoy an activity as a family? Have your kids participated in the planning and organization of the games? Kids can plan healthy snacks and warm-up exercises. It will mean a lot for a child to know they are a part of the preparation of their own or a family member's sport. If your children have close friends or classmates that play a sport, consider taking them to watch these games. If your child is interested in their friend's activities, ask the coach about your child joining. Kids have more fun when they know others on the team already rather than start from the beginning getting to know other players. Take your child to other sporting centers to watch different teams and players. It is important that your children know how sports are played at various ages and other levels of experience. You can also go early to games or stay later to watch the other ages in the same league, which will accomplish the same lesson about how to play at different ages. Simply watching sports on television, or watching sports movies will help your children learn about how other individuals and teams play and interact with one another. Try to have your child learn a different sport every few years. 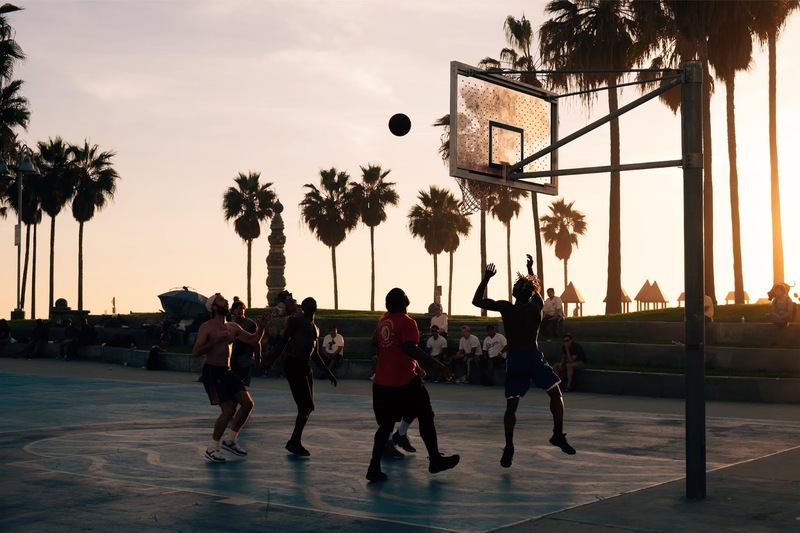 It will help them discover which sport they are most interested in, which one they are good at, and which sport they want to continue after they are grown. Think about sports from other countries and search for Olympic sports websites to find something different your children might enjoy. And watch the Olympics together as a family so that they can see what hard work can accomplish. When you see your child struggling or not wanting to go to practice or the games, take a break. Everyone needs a little time off, even from something fun like a sport they love. It doesn't matter that your child is on the "fast-track" to the Olympics or college team, allow them to take a break for a few weeks or an entire season. Don't make a big deal about them stopping, even if they never want to go back to the sport, allow it to be their choice. Taking a break should be a mutual decision between parent and child. Allow them to speak their mind and voice their opinions regarding the playing of sports and when it may be time to step back. By helping to show your child what it is like to be respectful and as a healthy competitor, you are instilling in your child a lifelong love of sports and being part of a team.